CFL Flood Lamps also have a screw-in base, and are designed to focus light on the objects in front of them. They are commonly used in indoor fixtures such as recessed or enclosed down lights as well as outdoor floodlights. Despite the imminent shift to LEDs, compact fluorescents or CFL light bulbs continue to have a significant role in the marketplace. Last year, Entergy Mississippi, a major energy service company, donated 26,000 CFL bulbs to the Mississippi Food Network, which assists low-income residents. The CFL light bulbs, donated by the utility through its Entergy Solutions energy-efficiency program, will light about 6,500 low-income Mississippi homes, reducing those families’ energy costs and freeing up limited resources for other necessities. Earlier this year, Georgia Power recognized DeBartolo construction services for its focus on energy efficiency in the construction of The Office apartments on Piedmont Avenue in downtown Atlanta. The Office, once a former office building, is now a repurposed 20 story luxury high-rise featuring 327 apartment homes. Georgia Power leaders presented DeBartolo with a rebate check of $258,825 for various energy efficiency upgrades throughout the renovation including CFL lighting retrofits, the installation of programmable thermostats, selection of Energy Star appliances and energy efficient doors and windows, among other improvements. California’s Seaport Hotel installed energy-conserving CFL bulbs in all of its guestrooms and public space fixtures with a total of 2,012 light fixture replacements throughout the hotel and its partner facility, the Seaport World Trade Center. The Seaport also installed motion sensors in housekeeping linen closets, allowing the lighting system to shut off when no motion was detected for 30 seconds. With these installations, Seaport has saved 1.9 million kilowatt hours annually. The primary disadvantage to CFL light bulbs is the mercury contained in the bulb. This is ordinarily not a problem, but if the bulb breaks cleanup is a hassle. 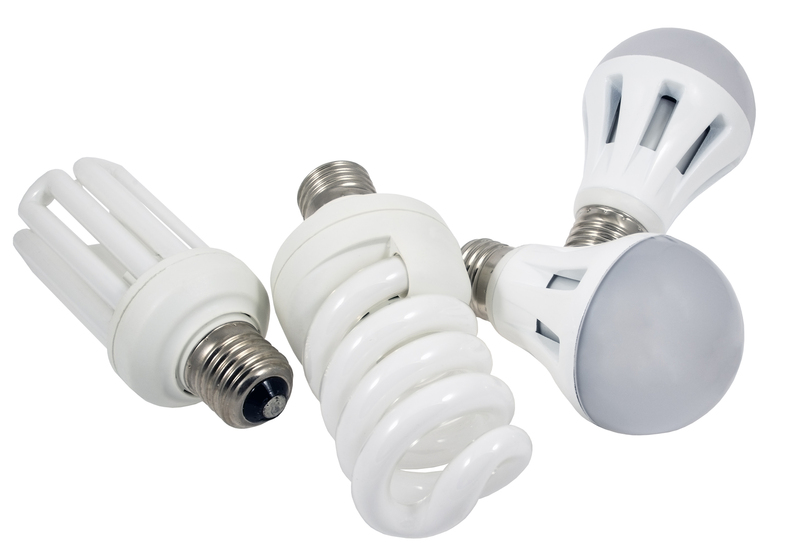 Mercury is a dangerous heavy metal, so proper cleanup and disposal of CFL bulbs is critical. Most people make the decision on CFL vs LED their pocketbook. LED costs more at purchase, but lasts longer. CFLs are cheaper, but if broken become not so convenient very fast. Other people decide that CFL lighting is closer to what they’re used to and therefore choose these bulbs to replace incandescent bulbs as they blow out.